4 things you should know about the upcoming 2018 Hyundai Sonata facelift. The current generation Hyundai Sonata was officially launched in the US-market roughly three years ago and that means it will soon receive a little bit of a refreshing. The Sonata model that came on the market before had a more aggressive stance, and a design that was the first glimpse at the Hyundai Fluidic Sculpture design language. Those stylish looks were toned down dramatically when the new model was released in the US market last year year. In speaking to WardsAuto, Hyundai Motor America CEO Dave Zuchowski had said that the vehicle had done well with those loyal to the brand, but not so well in the conquest buyers front, which was where the older model had succeeded. Zuchowski said that he had spoken to people at Hyundai, telling them how people would roll up beside him while he was driving the old Sonata to ask what type of car it was and where it had come from. He said it was free advertising that simply isn’t happening with the new model. We can assume that Hyundai thought they that had done enough to establish the nameplate with the previous generation, which in turn would allow them to go the conservative route, like the Toyota Camry and Honda Accord, with the new one. That did not turn out to be the case, though, and dealers had to start using larger Sonata incentive packages in order to move units. 1. When is the 2018 Sonata coming out? We expect the refreshed Hyundai Sonata to be launched sometime next year, labeled as the 2018 model. If you want to look at other options in the midsize sedan segment, check out the 2018 Kia Optima, Sonata’s sibling model. 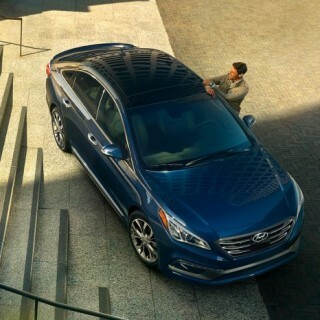 2.What changes will the Sonata facelift receive? You can expect the following 2018 Hyundai Sonata changes: updated front fascia with new signature grille design, updated rear lights and bumper, new alloy wheel designs and some improvements inside the cabin. 3. 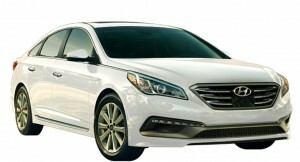 2018 Hyundai Sonata colors? Any news on the 2018 Sonata color options? Hyundai may introduce some new exterior color options on the updated Sonata sedan, but there are no details about the new color shades at this point. 4. Sonata AWD in the works? Is the 2018 Hyundai Sonata AWD possible? No, not really. Although there are many people who would consider buying the Sonata with all wheel drive system, Hyundai is not going to develop it. There are a number of Hyundai models with AWD available, including the Genesis sedan, Santa Fe SUV and Tucson crossover.